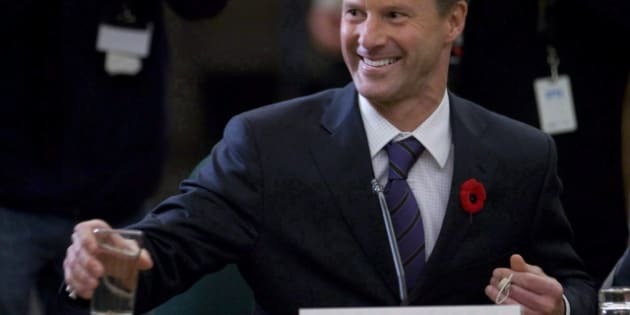 OTTAWA - Prime Minister Stephen Harper's chief of staff, Nigel Wright, has been cleared of conflict of interest allegations by the federal ethics watchdog. Ethics commissioner Mary Dawson has called off her examination of Wright's dealings with Barrick Gold Corp (TSX:ABX), satisfied that there was no violation of the Conflict of Interest Act. Dawson launched an investigation on her own initiative last September — without waiting for an MP or senator to request one — to determine whether Wright improperly used his influential position to further the private interests of friends at Barrick. After "carefully reviewing the matter" and taking into account "all the circumstances," her office said Tuesday that Dawson "has discontinued her examination ... (as) she no longer had reason to believe that Mr. Wright had contravened the Conflict of Interest Act." Dawson initiated her investigation after The Canadian Press reported that Wright was lobbied on three separate occasions last May by Barrick, despite deep personal connections to the company's founding family. Wright has known Barrick founder and board chairman Peter Munk for years. He used to work with Munk's son, Anthony, who sits on Barrick's board, and is godfather to his son. Foreign Affairs Minister John Baird has said that Barrick, which has multibillion-dollar mining operations in Argentina, called Wright in May to discuss concerns about soured relations between Canada and Argentina. Harper infuriated the Argentine government at the Summit of the Americas in April by blocking a declaration on Argentina's claim to the Falkland Islands. Baird said Wright did nothing wrong; he merely listened to Barrick's concerns, said nothing, passed the matter over to others responsible for the file and was not involved in any decision relating to Barrick. He did not explain why Wright felt it necessary to participate in three separate calls with Barrick — on May 14, 25 and 29 — if he had nothing to say and no responsibility for the matter. The Prime Minister's Office claimed vindication Tuesday. "As we have said all along, Mr. Wright conducted himself properly and in accordance with the rules," said Andrew MacDougall, Harper's chief spokesperson. However, NDP ethics critic Charlie Angus said the affair leaves a "bad taste" in his mouth, despite Dawson's all-clear. "It's who you know in the PMO and this is what the prime minister said he was going to change, this is the culture that he said was going to get cleaned up," Angus said. "It seems to be just the old game." Angus questioned what it will take for Dawson, who has yet to take anyone seriously to task for alleged or perceived conflicts, to find someone in contravention of the act. "It seems that unless she bursts into the room in the middle of the act, or unless there's a body lying on the floor with a gun, smoking, and someone holding the gun and a photograph of it, then she finds there's no problem."